There's a lot of talk today about nutrient-dense "green foods," and our Green Source Caplets are an excellent choice! This concentrated formula contains potent food source nutrients to provide essential vitamins, minerals, enzymes and amino acids — plus herbs, essential oils and other naturally occurring active food factors. It also provides all the naturally occurring active constituents of whole foods. Adults can take three tablets daily with meals or as desired. 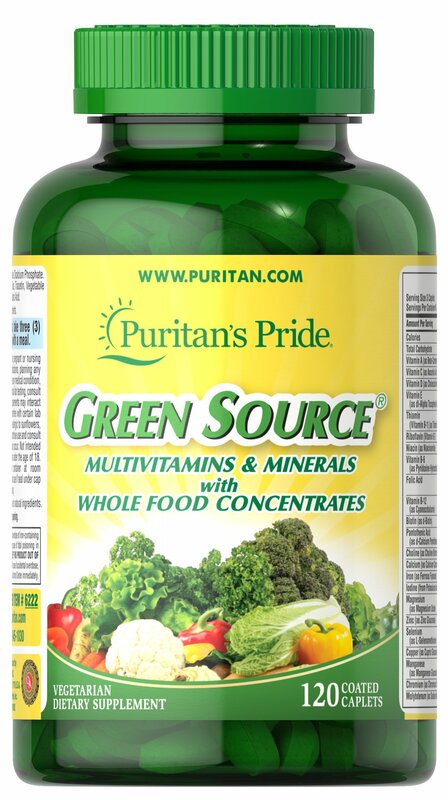 Once your friends find out you're taking Puritan's Pride Green Source, they'll be green with envy!